Necron campaign, sectors aren't connected. In the Necron campaign I cant seem to leave the first Sector. 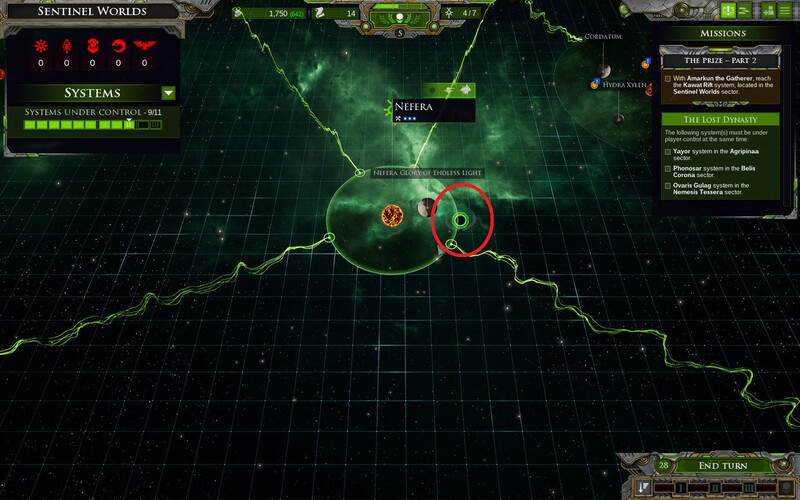 In the imperial campaign I can move sectors easily as they are connected, in the Necron campaign, despite my next objective being in another sector, they don't seem to be connected. Not tried the Tyranid campaign as yet. You have to use the dolmen gates. They are your connections.